Robert Walpole, 1st Earl of Orford, KG, KB, PC (26 August 1676 – 18 March 1745), known before 1742 as Sir Robert Walpole, was a British statesman who is generally regarded as the de facto first Prime Minister of Great Britain. Although the exact dates of his dominance are a matter of scholarly debate, 1721–42 are often used. He dominated the Walpole–Townshend ministry and the Walpole ministry and holds the record as the longest serving Prime Minister in British history. Critics called his system the "Robinocracy". Speck says that Walpole's uninterrupted run of 20 years as Prime Minister "is rightly regarded as one of the major feats of British political history... Explanations are usually offered in terms of his expert handling of the political system after 1720, [and] his unique blending of the surviving powers of the crown with the increasing influence of the Commons." He was a Whig from the gentry class, who was first elected to Parliament in 1701, and held many senior positions. He was a country squire and looked to country gentlemen for his political base. Historian Frank O'Gorman says his leadership in Parliament reflected his "reasonable and persuasive oratory, his ability to move both the emotions as well as the minds of men, and, above all, his extraordinary self-confidence." Hoppit says Walpole's policies sought moderation: he worked for peace, lower taxes, growing exports, and allowed a little more tolerance for Protestant Dissenters. He avoided controversy and high-intensity disputes, as his middle way attracted moderates from both the Whig and Tory camps. As a child, Walpole attended a private school at Massingham, Norfolk. Walpole entered Eton College in 1690 where he was considered "an excellent scholar". He left Eton on 2 April 1696 and matriculated at King's College, Cambridge on the same day. On 25 May 1698 he left Cambridge after the death of his only remaining elder brother, Edward, so that he could help his father administer the family estate to which he had become the heir. Walpole had planned to become a clergyman but as he was now the eldest surviving son in the family, he abandoned the idea. In November 1700 his father died, and Walpole succeeded to the estate. A paper in his father's handwriting, dated 9 June 1700, shows the family estate in Norfolk and Suffolk to have been nine manors in Norfolk and one in Suffolk. Walpole's political career began in January 1701 when he won a seat in the general election at Castle Rising. He left Castle Rising in 1702 so that he could represent the neighbouring borough of King's Lynn, a pocket borough that would re-elect him for the remainder of his political career. Queen Anne died in 1714. 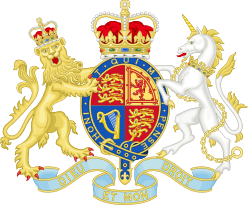 Under the Act of Settlement 1701, which excluded Roman Catholics from the line of succession, Anne was succeeded by a distant German cousin, George I. George I distrusted the Tories, whom he believed opposed his right to succeed to the Throne. The year of George's accession, 1714, marked the ascendancy of the Whigs who would remain in power for the next fifty years. 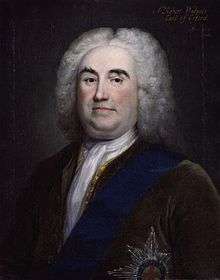 Robert Walpole became a Privy Councillor and rose to the position of Paymaster of the Forces in a Cabinet nominally led by Lord Halifax, but actually dominated by Lord Townshend (Walpole's brother-in-law) and James Stanhope. Walpole was also appointed chairman of a secret committee formed to investigate the actions of the previous Tory ministry in 1715. Lord Oxford was impeached, and Lord Bolingbroke suffered from an act of attainder. Lord Halifax, the titular head of the administration, died in 1715 and by 1716 Walpole was appointed to the posts of First Commissioner (Lord) of the Treasury and Chancellor of the Exchequer. He was a member of the Board of General Officers established in 1717 to investigate the abuse of pay. Walpole's fellow members, appointed by the Prince of Wales, included William Pulteney, 1st Earl of Bath – Secretary at War, General Lumley, General Erle and Sir Philip Meadows – Comptroller of the Army and Knight Marshal of the King's Palace, whose daughter, Mary Meadows, was Maid-of-honour to Walpole's friend, Queen Caroline. A keen huntsman, Walpole built for himself Great Lodge (Old Lodge) in Richmond Park. Philip Meadows, the deputy ranger of the park and son of Walpole's political ally, Sir Philip Meadows, lived at Great Lodge after Walpole had vacated it. 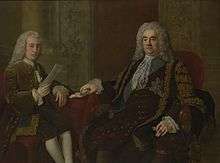 The resignation of Sunderland and the death of Stanhope in 1721 left Walpole as the most important figure in the administration. In April 1721 he was appointed First Lord of the Treasury, Chancellor of the Exchequer and Leader of the House of Commons. 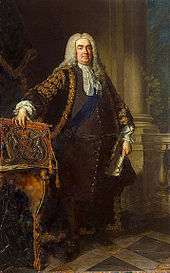 Walpole's de facto tenure as "Prime Minister" is often dated to his appointment as First Lord of the Treasury in 1721. His brother-in-law Lord Townshend, served as Secretary of State for the Northern Department and controlled the nation's foreign affairs. The two also had to contend with the Secretary of State for the Southern Department, Lord Carteret. Townshend and Walpole were thus restored to power and "annihilated the opposing faction". Walpole, a polarising figure, had many opponents, the most important of whom were in the Country Party, such as Lord Bolingbroke (who had been his political enemy since the days of Queen Anne) and William Pulteney (a capable Whig statesman who felt snubbed when Walpole failed to include him in the Cabinet). Bolingbroke and Pulteney ran a periodical called The Craftsman in which they incessantly denounced the Prime Minister's policies. 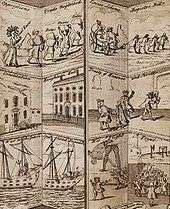 Walpole was also satirised and parodied extensively; he was often compared to the criminal Jonathan Wild as, for example, John Gay did in his farcical Beggar's Opera. Walpole's other enemies included Jonathan Swift, Alexander Pope, Henry Fielding, and Dr Samuel Johnson. 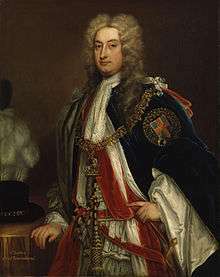 Despite such opposition, Walpole secured the support of the people and of the House of Commons with a policy of avoiding war which, in turn, allowed him to impose low taxes. He used his influence to prevent George II from entering a European conflict in 1733 when the War of the Polish Succession broke out. In the same year, however, his influence was seriously threatened by a taxation scheme he introduced. The revenue of the country had been severely diminished by smugglers so Walpole proposed that the tariff on wine and tobacco be replaced by an excise tax. To countervail the threat of smuggling, the tax was to be collected not at ports but at warehouses. This new proposal, however, was extremely unpopular and aroused the opposition of the nation's merchants. Walpole agreed to withdraw the bill before Parliament voted on it, but he dismissed the politicians who had dared to oppose it in the first place. Thus, Walpole lost a considerable element of his Whig Party to the Opposition. While the "country party" attacked Walpole relentlessly, he subsidised writers who spoke up in his behalf. William Arnall and others defended Walpole from the charge of evil political corruption by arguing that corruption is the universal human condition. Furthermore, they argued, political divisiveness was also universal and inevitable because of selfish passions that were integral to human nature. Arnall argued that government must be strong enough to control conflict, and in that regard Walpole was quite successful. This style of "court" political rhetoric continued through the 18th century. In the new Parliament, many Whigs thought the aging Prime Minister incapable of leading the military campaign. Moreover, his majority was not as strong as it had formerly been, his detractors—such as William Pulteney, earl of Bath, and Lord Perceval—being approximately as numerous as his supporters. Behind these political enemies were opposition Whigs, Tories and Jacobites. Walpole was alleged to have presided over an immense increase in corruption and to have enriched himself enormously whilst in office. Parliamentary committees were formed to investigate these charges. In 1742 when the House of Commons was prepared to determine the validity of an allegedly rigged by-election in Chippenham, Walpole and others agreed to treat the issue as a Motion of No Confidence. As Walpole was defeated on the vote, he agreed to resign from the Government. The news of the naval disaster against Spain in the Battle of Cartagena de Indias also prompted the end of his political career. King George II wept on his resignation and begged to see him frequently. As part of his resignation the King agreed to elevate him to the House of Lords as the Earl of Orford and this occurred on 6 February 1742. Five days later he formally relinquished the seals of office. Although no longer First Lord of the Treasury, Walpole remained politically involved. His son, Horace, claimed that his father would "assist the Ministry in the Lords" and remarked that his enemies "cry out that he is still Minister behind the curtain." His former colleagues were still pleased to see him, perhaps in part because he retained the king's favor. After his resignation, his main political roles were to support the government by means of advice, to deal with patronage and to speak on the ministry's behalf in the Lords. Lord Orford was succeeded as Prime Minister by Lord Wilmington in an administration whose true head was Lord Carteret. A committee was created to inquire into Walpole's ministry but no substantial evidence of wrongdoing or corruption was discovered. Though no longer a member of the Cabinet, Lord Orford continued to maintain personal influence with George II and was often dubbed the "Minister behind the Curtain" for this advice and influence. In 1744 he managed to secure the dismissal of Carteret and the appointment of Henry Pelham whom he regarded as a political protégé. He advised Pelham to make use of his seat in the Commons to serve as a bridge between the King and Parliament, just as Walpole had done. Along with his political interests in his last years, Walpole enjoyed the pleasures of the hunt. Back at his recently rebuilt country seat in Houghton, Norfolk, such pastimes were denied him due to "dismal weather." He also enjoyed the beauties of the countryside. His art collection gave him particular pleasure. He had spent much money in the 1720s and 1730s in building up a collection of Old Masters from all over Europe. Walpole also concerned himself with estate matters. His health, never good, deteriorated rapidly toward the end of 1744; Lord Orford died in London in 1745, aged nearly sixty-nine years; he was buried in the parish church of his home estate at Houghton, Norfolk. His earldom passed to his eldest son Robert who was in turn succeeded by his only son George. Upon the death of the third Earl, the Earldom was inherited by the first Earl's younger son Horace Walpole (a writer and friend of poet Thomas Gray), who died without heirs in 1797. He was an honorable man and a sound Whig. He was not, as the Jacobites and discontented Whigs of his time have represented him, and as ill-informed people still represent him, a prodigal and corrupt minister. They charged him in their libels and seditious conversations as having first reduced corruption to a system. Such was their cant. But he was far from governing by corruption. He governed by party attachments. The charge of systematic corruption is less applicable to him, perhaps, than to any minister who ever served the crown for so great a length of time. He gained over very few from the Opposition. Without being a genius of the first class, he was an intelligent, prudent, and safe minister. He loved peace; and he helped to communicate the same disposition to nations at least as warlike and restless as that in which he had the chief direction of affairs...With many virtues, public and private, he had his faults; but his faults were superficial. A careless, coarse, and over familiar style of discourse, without sufficient regard to persons or occasions, and an almost total want of political decorum, were the errours by which he was most hurt in the public opinion: and those through which his enemies obtained the greatest advantage over him. But justice must be done. The prudence, steadiness, and vigilance of that man, joined to the greatest possible lenity in his character and his politics, preserved the crown to this royal family; and with it, their laws and liberties to this country. In private life he was good natured, Chearfull, social. Inelegant in his manners, loose in his morals. He had a coarse wit, which he was too free of for a Man in his Station, as it is always inconsistent with dignity. He was very able as a Minister, but without a certain Elevation of mind...He was both the ablest Parliament man, and the ablest manager of a Parliament, that I believe ever lived...Money, not Prerogative, was the chief Engine of his administration, and he employed it with a success that in a manner disgraced humanity...When he found any body proof, against pecuniary temptations, which alass! was but seldom, he had recourse to still a worse art. For he laughed at and ridiculed all notions of Publick virtue, and the love of one's Country, calling them the Chimerical school boy flights of Classical learning; declaring himself at the same time, No Saint, no Spartan, no reformer. He would frequently ask young fellows at their first appearance in the world, while their honest hearts were yet untainted, well are you to be an old Roman? a Patriot? you will soon come off of that, and grow wiser. And thus he was more dangerous to the morals, than to the libertys of his country, to which I am persuaded that he meaned no ill in his heart...His Name will not be recorded in History among the best men, or the best Ministers, but much much less ought it to be ranked among the worst. Walpole has attracted attention from hetrodox economists as a pioneer of protectionist policies, in the form of tariffs and subsidies to woolen manufacturers. As a result, the industry became Britain's primary export, enabling the country to import the raw materials and food that fueled the industrial revolution. Walpole also left behind a collection of art which he had assembled during his career. His grandson, the 3rd Earl of Orford, sold many of the works in this collection to the Russian Empress Catherine II in 1779. This collection — then regarded as one of the finest in Europe — now lies in the State Hermitage Museum in Saint Petersburg, Russia. In 2013 the Hermitage loaned the collection to Houghton for display following the original William Kent hanging plan, recently discovered at Houghton. Prior to the death of his first wife, Walpole took on a mistress, Maria, daughter of Thomas Skerrett (died 1734; an Irish merchant living in Dover Street, London). She was a fashionable socialite of wit and beauty, with an independent fortune of £30,000. Walpole had married her by March 1738. They had been living openly together in Richmond Park and Houghton Hall before 1728. Maria had borne him a daughter, also called Maria, who was no longer illegitimate after her parents' marriage and, as the daughter of an Earl, became Lady Maria Walpole. In 1746, this daughter married Colonel Charles Churchill of Chalfont (1720–1812), illegitimate son of General Charles Churchill and became the housekeeper of Windsor Castle. [lower-alpha 1] Their daughter Mary became the second wife of Charles Cadogan, 1st Earl Cadogan, and had issue. The second Lady Orford died of a miscarriage on 4 June 1739. Walpole considered her "indispensable to his happiness", and her loss plunged him into a "deplorable and comfortless condition", which ended in a severe illness. ↑ Daughter of Maria Walpole Churchill and Charles, Sophia Churchill, married Horatio Walpole, a great-grandson of Robert Walpole. ↑ Leadam 1899, pp. 178–179. 1 2 Leadam 1899, p. 179. 1 2 ACAD & WLPL695R. 1 2 3 Leadam 1899, p. 180. ↑ Glentzer, Molly (20 June 2014). "'Houghton Hall' peeks at a real 'Downton Abbey'". Houston Chronicle. Retrieved 5 March 2016. As a young man, Sir Robert bought shares of the South Seas Co., which monopolized trade with Spain, the Caribbean and South America. The speculative market for slaves, rum and mahogany spawned a frenzy that had ramifications throughout Europe when it collapsed. "But Walpole bought at the bottom and sold at the top," Tinterow said. That fortune enabled him to build Houghton. ↑ Leadam 1899, p. 180, 181. ↑ Leadam 1899, pp. 181–82. 1 2 Leadam 1899, p. 183. 1 2 Leadam 1899, p. 184. ↑ Oldmixon, Mr (John) (1735). "The History of England: During the Reigns of King William and Queen Mary, Queen Anne, King George I". Great Britain: T. Cox. p. 627. Retrieved 4 March 2013. ↑ "Household of Queen Caroline 1727–37". (University of London) The Institute of Historical Research (IHR), Senate House, Malet Street, London WC1E 7HU. Retrieved 4 March 2013. Maid of Honour – 172; Meadows, Mary. Transferred from household of Princess 1727. First occ. 1728 (Chamberlayne (1728), pt. iii, 264). ↑ "A Genealogical and Heraldic Dictionary of the Peerage and Baronetage of the British Empire (Earl Manvers – Lineage)". Baronetage. Henry Colburn. 1839. pp. 684–5. Retrieved 4 March 2013. ↑ White, William. "Noes and Queeries". (Page 370) Oxford University Press, 1858. Retrieved 13 April 2014. ↑ Collins, Arthur (1812). "Meadows Pedigree – Collins's Peerage of England; Genealogical, Biographical, and Historical, Volume 5". F. C. and J. Rivington, Otridge and son. pp. 722–3. Retrieved 9 April 2015. ↑ Leadam 1899, pp. 184, 186. 1 2 Leadam 1899, p. 185. ↑ Leadam 1899, p. 185 cites Parl. Hist. vii. 460; 9 May 1717. ↑ Leadam 1899, p. 185 cites Parl. Hist. vii. 449, 16 April 1717. 1 2 3 4 5 6 7 8 9 Leadam 1899, p. 187. ↑ Leadam 1899, p. 186. ↑ Letter from St John Brodrick to Lord Midleton, May 24, 1721: „After all the pains that have been taken to detect the villanys of the directors and their friends, I am afraid they will at last flip thro’ their fingers, and that nothing further will be done as to confiscation, hanging, &c. There certainly is a majority in the house of commons, that are willing to do themselves and the kingdom justice; but they act so little in concert together [...] He [ Thomas Brodrick ] is [...] the spring that gives motion to the whole body; and the only man that either can or will set matters in a true light, and expose and baffle the schemes of the skreen, &c. The house were five hours in a committee [...] and were amuse’d and banter’d [...] by questions and amendments propos’d by the skreen, &c. so that they rose at last without coming to any resolution. [...] the kingdom is like to be very happy, when the skreen, and the gentleman [Sunderland] with the bloody nose, act in perfect concert together.“ Coxe (1798), ii. 216–17. ↑ Leadam 1899, p. 188. ↑ Coxe, William (1978), Memoirs of the Life and Administration of Sir Robert Walpole, Earl of Orford, pp. 1 2 3 Leadam 1899, p. 190. ↑ Downie, J. A. (1986), Jonathan Swift: Political Writer, pp. ↑ Leadam 1899, pp. 194–195. 1 2 Leadam 1899, p. 194. ↑ "The city of Norwich, chapter 37: Of the city in the time of King George II". An Essay Towards A Topographical History of the County of Norfolk: Volume 3, the History of the City and County of Norwich, Part I. Originally published by W Miller, London, 1806 – Pages 443–454. Retrieved 3 March 2013. In 1734, a new silver mace, weighing 168 ounces, gilt and finely exchased, was presented to the city by the right honourable Sir Rob. Walpole; on the cup part of it are Sir Robert's arms, and the arms of the city; it was first carried before the Mayor on the 29th of May. 1 2 Leadam 1899, pp. 195–196. ↑ Leadam 1899, pp. 195–196 10 Geo. II, c. 28. ↑ Plumb, J.H. (1960), Sir Robert Walpole; the Making of a Statesman: The King's Minister, Cresset Press, p.
↑ British Library Additional Manuscripts [hereafter BL Add. MS], 4293, fo. 87. ↑ Browning 1975, p. 117. ↑ BL Add. MS 63750, fo. 34r. ↑ Franklin 1993, p. 114. ↑ Franklin 1993, pp. 114–115. ↑ Ha-Joon Chang (2010). 23 Things They Don't Tell You About Capitalism. London: Allen Lane. p. 70. ↑ Kramnick, Isaac (1992). Bolingbroke and His Circle: The Politics of Nostalgia in the Age of Walpole. Cornell University Press. p. 20. ISBN 9780801480010. Retrieved 15 August 2014. Walpole's system was depicted as a unique form of government, the Robinocracy or Robinarchy. 1 2 3 4 5 6 7 8 9 10 Leadam 1899, p. 205. ↑ Leadam 1899, p. 205 cites Gent. Mag.,1734, p. 50; Hervey, Memoirs, i. 115; Pope, Works, iii. 141 n. 1; Gent. Mag. 1738, p. 324. ↑ Leadam 1899, p. 205 cites Bishop Hare to F. Naylor, 9 March 1738, Hare MSS. p. 238. ↑ Leadam 1899, pp. 205–206.